The Alabama Nature Center in Lanark offers 350 acres of forests, fields, streams, wetlands and ponds that are traversed by five miles of boardwalks and trails in three regions: Still Creek Run, Turkey Ridge, and Hilltop Pass. The trails provide easy access to the surrounding woodlands to look for Summer Tanagers, Great Crested Flycatchers, Eastern Wood Peewees, Wood Thrushes, and Yellow-billed Cuckoos. In winter, expect Ruby-crowned and Golden-crowned Kinglets to join the local feeding flocks in the trees, with Hermit Thrushes below. 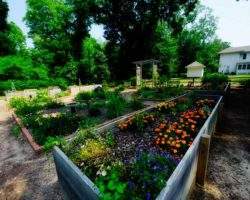 Cooter’s Pond Park, on the banks of the Alabama River, is divided into two parts — the upper section offers wooded areas, open fields, picnic pavilions, and views of the Montgomery skyline. The lower section offers a riverwalk and access to picnic areas and boat ramps. Cooter’s Pond is full of songbirds – Prothonotary Warblers, Northern Parula warblers, American Redstarts, Yellow-billed Cuckoos, and even Painted Buntings are here in the warm months. There are always Eastern Bluebirds and Brown-headed Nuthatches; watch the water for Bald Eagles, Ospreys, and waterfowl, the latter primarily in winter. Excellent year-round, this site can be phenomenal during spring and fall migration. Fort Toulouse-Jackson National Historic Park is situated where the Coosa and Tallapoosa Rivers meet to form the headwaters of the Alabama River. The park preserves relics of over 6,000 years of human history within its 165 acres of woodlands and fields bordering the two rivers. The rich riparian habitat makes this especially attractive to birds. After turning off US 231, check the fields for Eastern Meadowlarks and Northern Bobwhites – and Northern Harriers and American Kestrels in winter. The open swamp on the right of the entrance road has Anhingas and Prothonotary Warblers.